John Varvatos celebrates the opening of his Detroit store with a star-studded black carpet arrival and rock star-worthy VIP party, featuring a special live performance by Detroit native, Alice Cooper. Hosted by Chrysler in conjunction with Bedrock Real Estate Services, video directed by Anthony Garth of Hudson Edit. This entry was posted in Detroit Business, Downtown Detroit and tagged Alice Cooper, Anthony Garth, Bedrock Real Estate Services, Chrysler, Hudson Edit, John Varvatos. 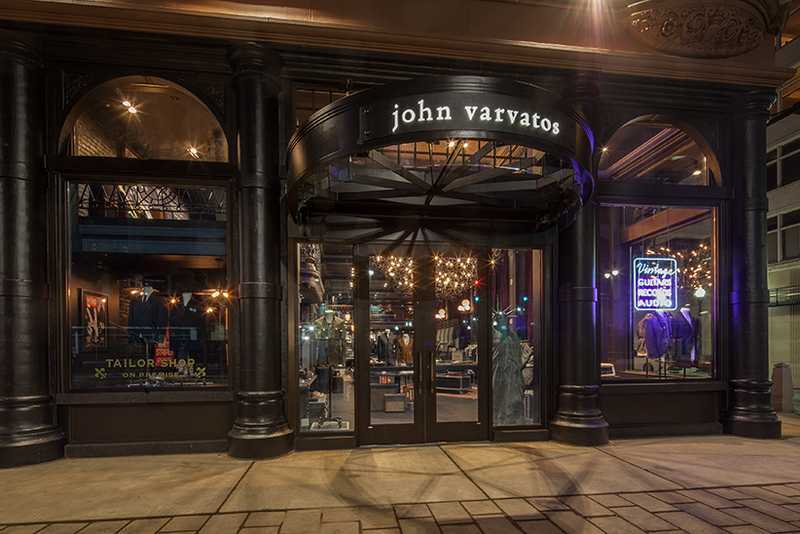 Welcome back to Detroit, John Varvatos! John Varvatos, a Detroit native, opened his Downtown Detroit store today inside the former Wright Kay Building at the corner of Woodward and John R.
The photo gallery below from the company’s website (www.johnvarvatos.com) gives you a glimpse of what to expect when you visit. 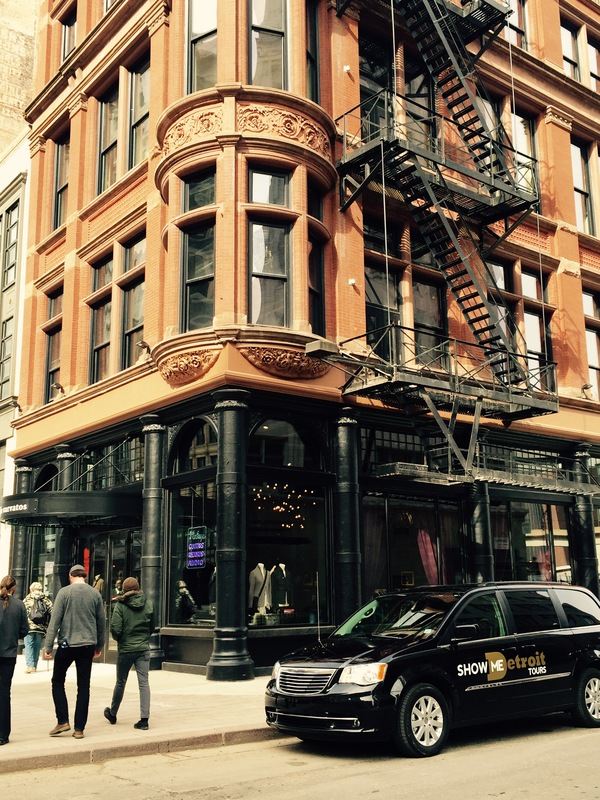 This entry was posted in Downtown Detroit, Shopping and tagged John Varvatos, Wright-Kay Building. 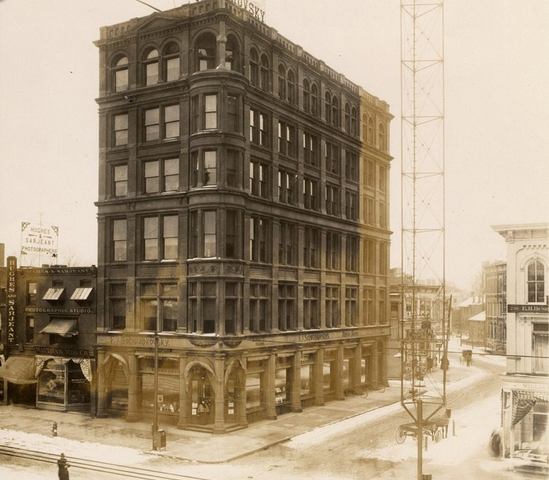 The Wright-Kay Building [home of Wright & Company] is back. Concealed by a plywood barricade during its months-long construction process, the restored ground floor has been revealed days before its debut as John Varvatos. The new look is a huge upgrade for the 124-year-old building. Installed decades ago, the previous granite facade hid the original cast iron frame like a bulky set of sweatpants. 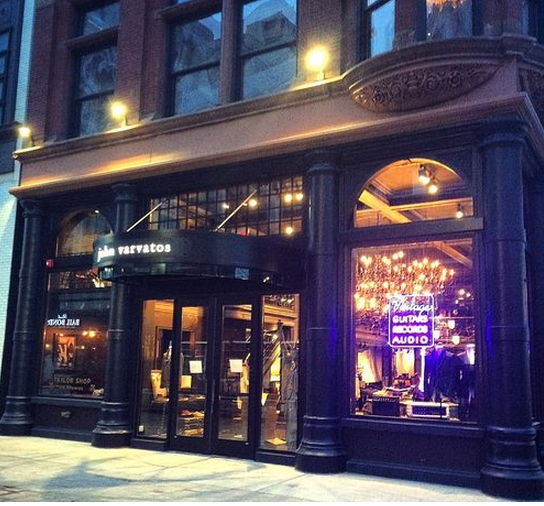 John Varvatos doesn’t open to the public ’til Friday, but let’s hope Bedrock Real Estate Services worked similar magic on the interior. This entry was posted in Detroit Architecture, Detroit Photos and tagged Bedrock Real Estate Services, John Varvatos, Wright & Company, Wright-Kay Building.